Amazing how a result can fill you with new hope. Need to keep winning run going. Really hope we dont fall here . Huge game for the Mo. Won't be an easy game after Brechin's last couple of results and I am sure they will be confident they can take away something. Hope we go back to four at the back and play 4-3-3 as I don't think the 3-5-2 formation worked that much on sat. Milne was not bad on Saturday but it will take a game or two for him to settle back in. Hopefully he can make an impact but we really need our strikers to start putting the ball away. You guys have impressed me with the way you have settled into League One. Is Milne on loan till the seasons end ? As you say it'll take a game or two for him to get going with hopefully it being after Saturdays match and NOT during it . Hope too that our result on Saturday encourages a few stay away Brechiners to come back. Permanent ....nice work. Healthy crowd would be great . I have got the buzz back for the football after Saturdays game. I know it was only one game but after the dross that we have put up with lately it made a welcome change.Still think we are a striker light though. We all think that. Hopefully time yet though. Pretty sure we played a 3-4-1-2 formation on Saturday. Missing this one due to work. 4-3 Montrose, Jimmy Mann and Hamish Brannan to score hat tricks for their respective sides, Martin Rennie penalty to win the game. Big game for both teams. A home win would put us 10 points clear of Brechin and a huge gap between us and them. Away win would get them within touching distance. 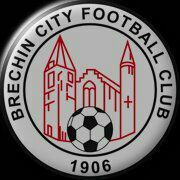 I'm sure that Brechin will be boosted by last weeks result but hopefully that was a one off. One thing for certain - it will be feckin Baltic. Weather forecast says sunny but cold. Football forecast says sunny for the Mo, cold for Brechin. Roughly agree with that. The 3-4-1-2 didn't work at Dumbarton especially first half and could have lost us the game. I'd go with 3-4-3 against Brechin and very much take the game to them. The 3 up front is an absolute must, no ifs and buts. Some light snow forecast for tonight and tomorrow morning. What are the chances of the game being on tomorrow ? All activities were cancelled tonight so the groundsman could salt the pitch . Is there snow on it now? Don't know how that will affect things. Down to the bare bones again by the looks of it. Hope the guys can grind a result out. Any word on who the trailist is ? Ahh Hamish Brannan , i'd almost forgotten about him . A true legend . Some of his one man sing a longs are worth the trip through and admission money on there own . Heres a guy that genuinely loves his football and singing away on his own . Montrose should erect a statue somewhere in the town to honour him as he is a real character. I wish we had someone like him. Would have put a wee smile on peoples faces last season during the dark times. Think i know where i'll be watching the game from now.